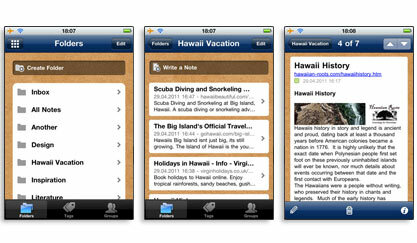 With the app for iPhone and iPod touch, you can create, edit and organize your notes anywhere and anytime. 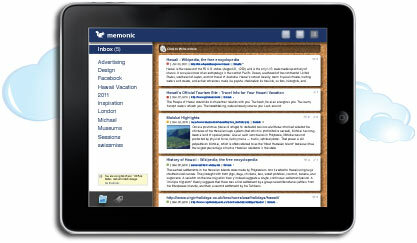 Create new notes and access all your notes and folders anytime and anywhere from your iPad. All your data is synchronized to your device so you can browse through your notes, view them and organize them even when you are not connected to the internet. An updated version to match the features from the iPhone app will be released soon.